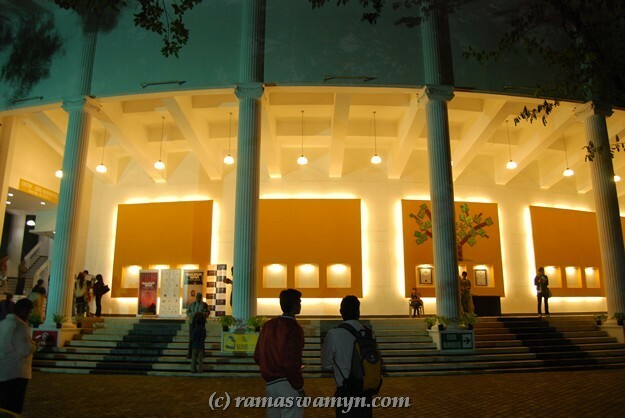 Chennai has got an addition of a performance place in its demography. 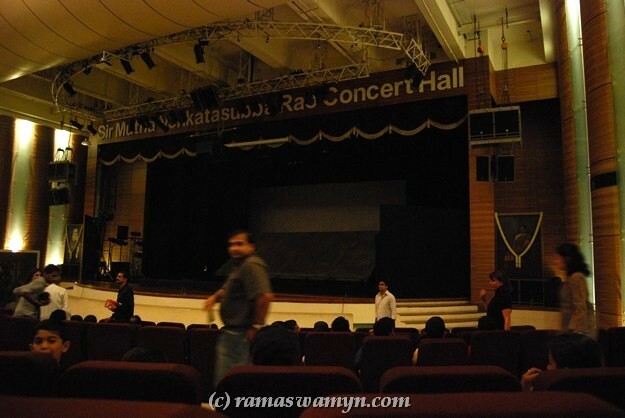 The Sir Mutha Venkatasubba Rao Concert Hall in Harrington Road (near Shoppers Stop) is an addition to the options for visiting a play or a dance show or a music concert or any such performance. With a good seating, plush ambiance, wonderful acoustics this i’m sure would be a sought after venues very soon (if not now). This is inside the Lady Andal School Campus. It looks like a wonderful place for a concert, play or other performance! Hope you’re off to a good start in 2010! Ram: Yes Chief …. Hope the 2010 is brilliant for you too … !! Congratulations on the new performance hall! Your photo of the facade is gorgeous! I love the lighting. A beautiful place.. way better than music academy and every other audi in Chennai!!! Ram: Defntly yes, good acoustics too …. more interesting is the abundant parking. And it is probably the only hall in Chennai where you can display ‘surtitles’ for a play. Dude, you should definitely do more night time photography! You seem to have a knack for it. Hi. Chanced upon this blog while searching for directions to this place. Will be attending tomorrow’s (18th) concert. Ram: Ha haa .. was wondering if this was the same MISSING Navneeth, till i saw the Post-script. I found an easy way to get and give directions… pls check the below link for reference.